There’s a whole lot to consider when it comes to choosing a telecom carrier. It’s something we’ve covered many times and are always looking for ways to help simplify things. As a long term telecom Carrier Agent consultant, our telecom experts are continually helping our partners find the best telecom solutions possible. As part of our process, we have a list of nine main checkpoints to use when choosing a telecom carrier. When it comes to choosing a telecom carrier, be sure the profile of the carrier aligns with your geographic needs. 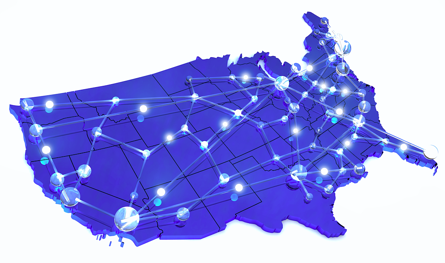 Telecom carriers typically serve designated territories, so you’ll need to know if their services are available to your full geographic footprint. Every telecom carrier has an ideal client. For example, a consumer with a single location in a rural market might align better with a regional provider within their territory... including local support resources. An ideal client's needs should directly align with the carrier's service and support capabilities. As you research your options, you might struggle to determine if a carrier's niche aligns with your needs. At Marco, we listen to each client's specific needs, bring our experience and knowledge of carriers and match each client with the right carrier who provides the best value. Do you want a carrier solution designed around voice, data, redundancy and reliability, or do you just need standard telephone services? Knowing your needs in advance will help you select the best telecom carrier. When it comes to telecom carriers, scalability is important. Can their services adapt to meet your growth needs? As you are selecting your carrier, keep your future in mind. Is pricing in line with market competition? Does pricing align with the carrier network performance you expect? Will the pricing allow you to be profitable? Does the pricing fit within your budget? Getting the proper support from a telecom carrier is vital. Be sure to learn about each provider's support. Do they manage the installation of your telecom services themselves, or will they hire a third party to do so? Beyond that, ask if (and how) they provide assistance with telecom paperwork and billing – do they offer support in these areas as well? Finally, I also recommend asking if you’ll have a single point of contact, or if you'll go through multiple hand-off stages when support is needed. Knowing you have a reliable contact for support can make a big difference, should issues occur. Where is your help desk and troubleshooting support located? How many support staff members do you have? What is the process for getting telecom support and follow up? Knowing the ins and outs of your contract is extremely important, and something I’ve touched on in a previous blog, but I’ll reiterate a few points here. Be sure to read through your entire contract – this includes the Terms & Conditions. Take time to understand and make note of the timeframe of your contract, as well as what termination penalties are in place should the situation arise. Inquire about service level agreements and take note of any MRC (monthly recurring charge) and NRC (non-recurring charge) totals that could affect your agreement. When it comes to your contract, no question is a dumb question – take the time to understand your entire agreement. Are the monthly bills easy to understand and is there a portal for sending questions? Please explain your portal access and use expectations? Will my bills show usage information? What is included on my bills? Are they detailed or simple? Don’t be afraid to ask to see a sample invoice to understand what they look like so you know what you can expect to receive every billing cycle. Have you experienced any outages? When, why and how did the carrier respond? What type of setup do you have, a data center and/or central office locations? What network performance expectations do you have and have they been clearly communicated to carrier? Your telecom carrier selection should be about efficiency and performance, so take the time to ensure their service can offer that to you. To further understand what type of telecom service is best for you and your business, download this free comparison guide.